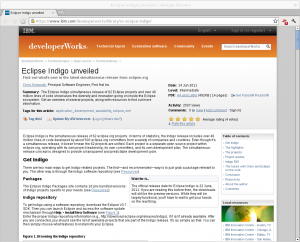 I wrote an article summarizing the Eclipse Indigo release on developerWorks. Thank you to everyone who provided project-related quotes and screenshots. I’m looking forward to the release next week!